The QLine stop outside the Little Caesars Arena. Photo by Steve Neavling. A water main break and “dangerous ice conditions” on Woodward has prompted the QLine streetcars to halt service until late Sunday. Streetcar service stopped at 8 p.m. Saturday after an underground pipe broke, sending water gushing onto Woodward. The single-digit temperatures caused ice to accumulate on the road. Emergency utility crews were dispatched to the scene. “We will provide updates as they come in,” the QLine tweeted. #ServiceAlert: Due to a water main break on Woodward and dangerous icing conditions the QLINE has halted service until tomorrow at 4 pm. We will provide updates as they come in. 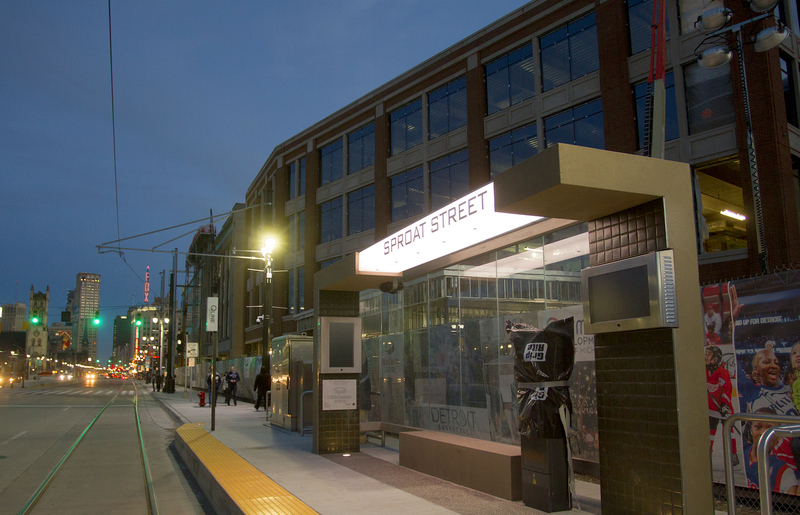 In a two-part series in April, Motor City Muckraker revealed the unexpected shortcomings and dangers of the modern streetcar renaissance.